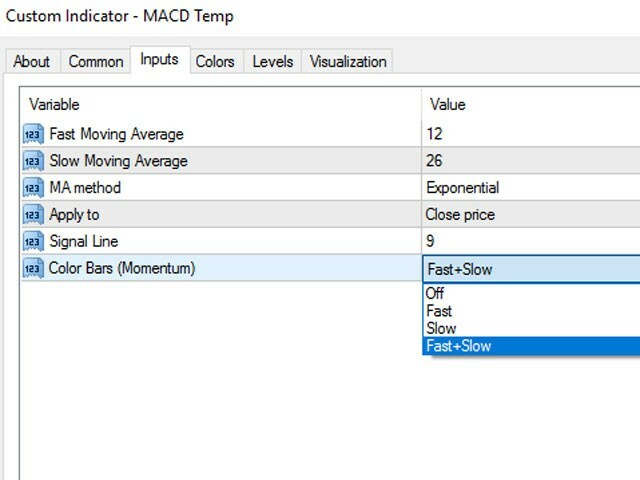 MACD Temp is a system of two oscillators, which allows to track the price changes of the Fast and Slow periods in case of their convergence/divergence. 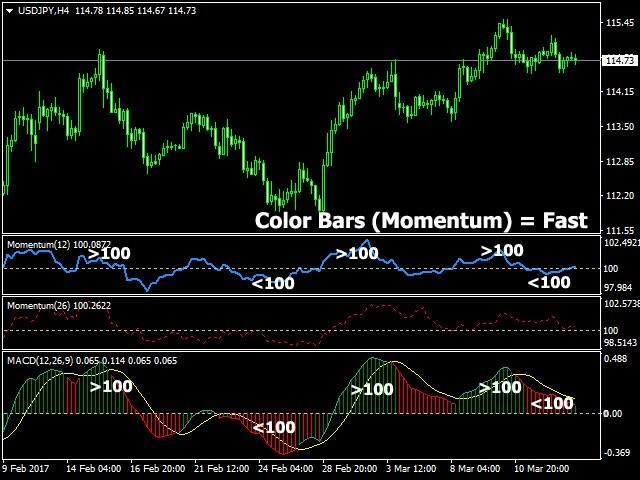 The bar border is colored in accordance with the MACD trend, while the color of the histogram changes when the values of the Momentum indicators cross the level of 100, for respective periods: Fast Moving Average (Fast Momentum), Slow Moving Average (Slow Momentum), selectively or for both values (the mode is to be chosen in the indicator properties window). 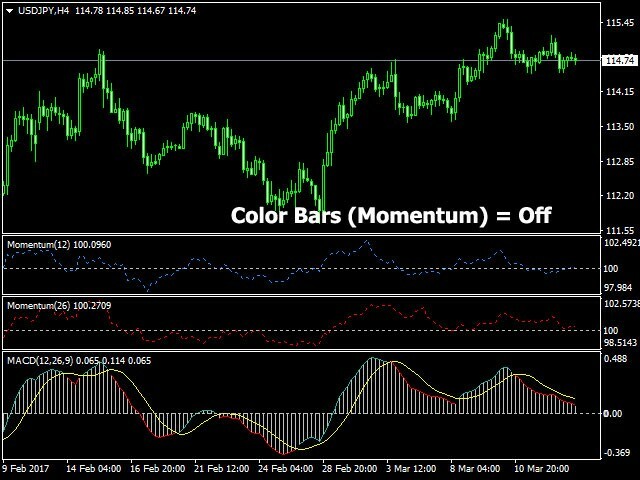 The signal occurs when the color of the bar borders matches the color of MACD bars. 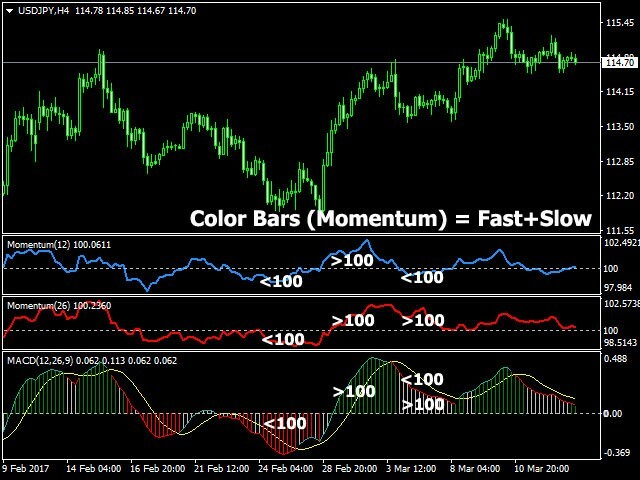 Color Bars (Momentum) – change the color of the indicator bars when Fast Momentum and/or Slow Momentum cross the level of 100.